Tuesday morning Peoria greetings to one and all! Most of us probably had the day off yesterday for the 4th of July, so that means it’s going to be a short week and there’s never anything wrong with a four day work week! Maybe the only thing better then a four day work week is the whole week off and I’m sure that some of you might be taking a little vacation time as well this week to make it even better! Jan and I were down in Texas last week for a shoot and it was a little toasty to say the least. We had a great shoot, but man was it hot each day and we were outside shooting, so the adult beverages tasted really good each night. It was nice to come back to Peoria and have it be about 25 degrees cooler, but that’s not going to last so we’ll enjoy it while it’s here. A couple of weeks ago we were out shooting in the Washington and Oregon area and as we always like to do if the weather is right is to stay for an extra day or two and go out and shoot some photos for ourselves. We were able to take a bit of a drive along the Oregon coast for a day and it was really fun to see the ocean and that makes me realize that I’m not here in the Midwest. The weather wasn’t as nice as we would have liked, but as always we just made the best of it and still were able to get a few photos. 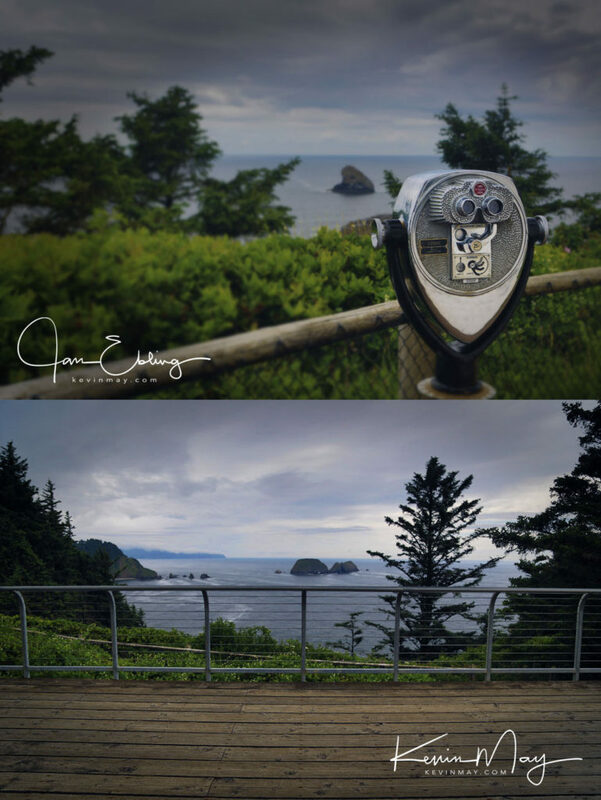 Here’s a few of our photos from the Cape Meares Lighthouse along the Oregon coast. Thanks as always for checking out our work and we both hope that you have a great week to come!! !